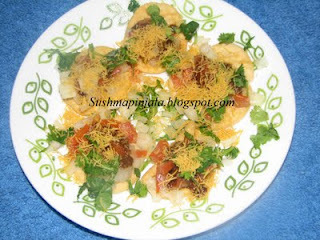 In a plate place papdi and top them with chopped onion, tomato, cucumber. Now top with chat masala paste, jaggery and chopped cilantro. Now garnish with sev. That all you are ready to have this yummy snack. 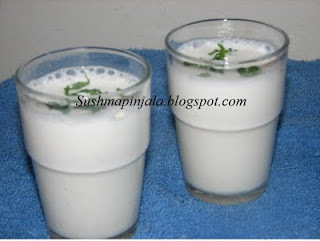 Blend curd, green chilli, ginger root, cumin powder and black salt in a blender. Add ice and blend once again. Garnish with cilantro on top before serving . Chill and serve or as it is. Sending this recipe to Kamalika's Kids Delight event. 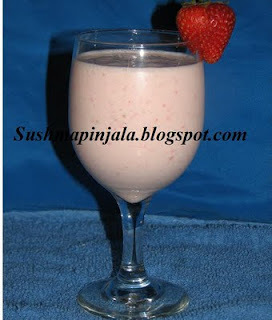 Blend strawberry, banana, yogurt, milk and ice together till smooth and creamy. That's it you and your kids are all set to enjoy this yummy smoothie. 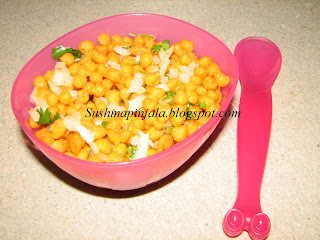 On the 4 th day of blogging marathon am here with another simple and delicious snack for kids. 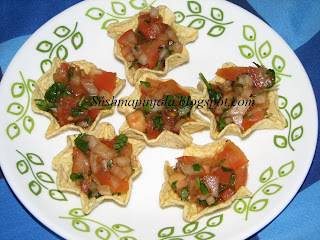 Am sure kids would love this Tostito's with home made salsa. In a bowl mix chopped onion, tomato, bell pepper ketchup and lime juice. Mix well. In a serving plate fill the tostito scoops with this salsa and serve. That's it now u can enjoy delicious tostito scoops with home made salsa. In a bowl add boondhi, chopped onion, cilantro, chat masala and lime juice. Mix well and serve. 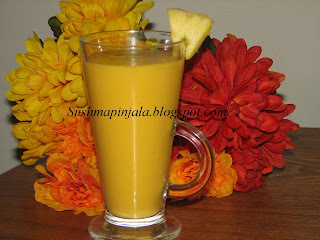 In a blender, blend mango pulp, pineapple juice, yogurt, milk and sugar untill smooth. Serve as it is or cool in refrigerator and serve. Cut all the fruits into medium sixe or bite size pieces. 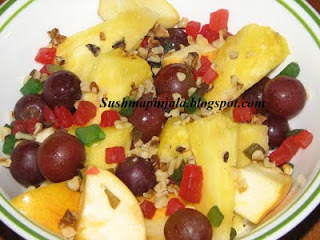 In a mixing bowl add all the fruits and chat masala. Mix well and garnish with crushed walnuts and tooty fruity. Looks colorfull and healthy too. U can use any fruit of your choice. Chat masala gives some special taste to this chat.